Hattie Hughes works hard as the assistant innkeeper to her sister-in-law, Diana’s, prosperous business. She is twenty years old, the younger sister of another successfully married off woman, and finding herself now longing for a husband of her own, even though she feels that she lacks the self-esteem to do the job well. One day, along comes a handsome, mysterious traveler who needs a room for a more long-term basis as his train is delayed by the snow. This stranger, Matthew Ford, turns out to be kind and understanding towards Hattie, offering a friendship she never realized she needed. As the two spend time together, they both begin to share deep feelings for one another. 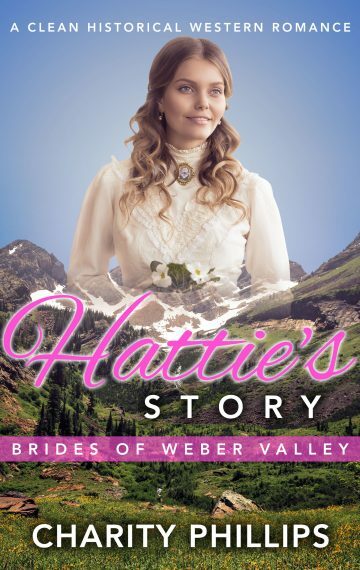 Can Hattie convince Mr. Ford to stay in Ogden, or is the call of California too strong to keep him in Ogden where she needs him?